(PRLEAP.COM) SAN FRANCISCO (August 27, 2013) – If you are looking to impress your date with great food served in casual friendly atmosphere, look no further than SoMA's Southside Spirithouse. Southside now offers a perfect date and dinner spot on Friday and Saturday nights, without breaking the bank. Southside's new two for $22 deal gets you and your sweetie to share some time and great food without the guesswork. The special includes two of Southside's specialty cocktails and a pizza of your choosing. We can't think of a better pair for you and yours to enjoy together. Pizza selections such as the "Southside" with Fresh Fig, Stilton cheese and Thyme or the "Mission" with Mushroom, Fontina, and Truffle Oil are sure to please, while a new Beet Salad with delicious Burrata offers a healthy choice to start your meal. Popular seasonal cocktail such as the Ramble On, made with Gin, fresh lime, blueberries and basil syrup will make conversation a breeze. The Maiden Lane – a concoction of bourbon, fresh strawberries and Ginger Beer will be a treat for her as well. If you are upping the ante for a special celebration, the new Charles Heidseick Brut Reserve and Rose Reserve Champagne ($99/bottle) and Secco Italian Bubbles 2012 from Veneto Prosecco for $10/glass are a great way to add some special bubbles to the night. Mark Hayashida has taken over the kitchen at Southside to create additional items for the menu, so expect this selection to be further enhanced in the coming months. His love for food extends beyond a career and into his lifestyle, and he loves cooking for friends and family when not at work. Hayashida has covered a lot of culinary territory since graduating from UC Davis and the California Culinary Academy, cooking Classic French-inspired cuisine. From the LA Ritz-Carlton, Mark was Executive Chef at Blowfish, Santana Row, Sous Chef at Google and most recently helped open the Potrero Hill standout, Skool. His love for food came from his grandfather's success in restaurants spreading from Kauai's own "Lihue Cafe" to an Island restaurant in Los Angeles (Harry's Aloha). Overall, the weekend ambiance at Southside includes an upbeat crowd of neighborhood locals and San Franciscans. A selection of DJ's infuse the space with music, creating more of an "event vibe" during spirited evenings. On the first Thursday of each month, DJ Kirk and Jon Blunk from Sweater Funk offer 70's modern and northern soul. 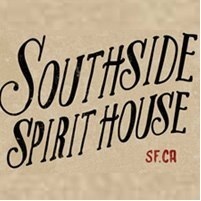 About Southside Spirit House: Located at 575 Howard Street in the heart of SoMA, Southside Spirit House is a perfect neighborhood spot to enjoy great cocktails and comfort food after work, before dinner and on the weekends. With a cozy yet cool atmosphere, ambient music and an upscale setting, Southside is a great spot for group events, dates, parties and late night bites served until 1 a.m.. Hours are 3 p.m. – 2 a.m. Monday through Friday and Saturday from 6 p.m. – 2 a.m. Closed Sundays. Private event reservations can be made by calling Leilani Brennan at (415) 806-0075. For more information, please visit www.southsidesf.com. For specifics on Spirit Hour events, please visit http://southsidesf.com/events.html.